We're on remote Atiu Island, only 45minutes from an International Airport. We are Atiu Villas, a tiny resort, nestled in the jungle, specialising in adventure, local culture, hiking, caving, fishing, hunting, bush beer and friendly people. 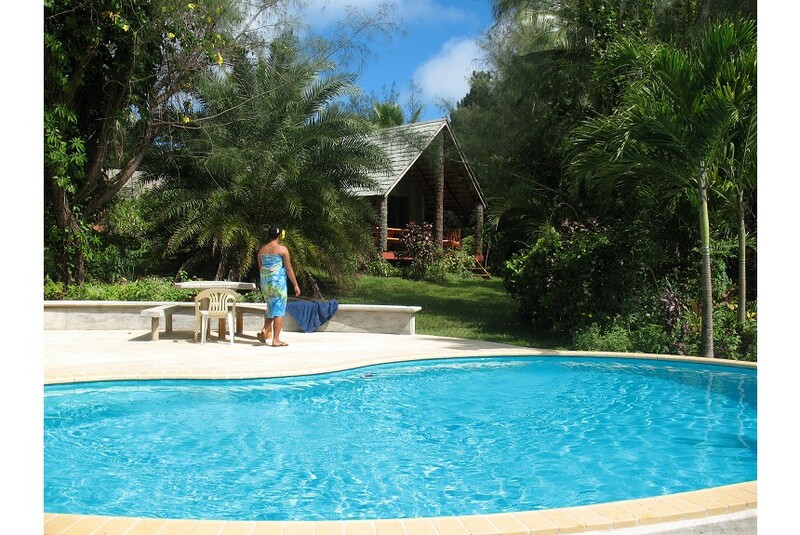 There are 6 villas, evening restaurant, bar, swimming pool, wood BBQ and tennis court, all set in a lush tropical garden. Each villa has a small kitchen and a larder stocked with beverages, dairy food, tinned and packaged food which you pay for as you use. Provided is a complimentary fresh fruit bowl of the season for you to enjoy. And just in case you can't take a holiday from the Internet, we provide you with a daily 75 MByte free dollop of wifi data. This amount is small enough to keep you up to date without you wasting your holiday on the Internet.